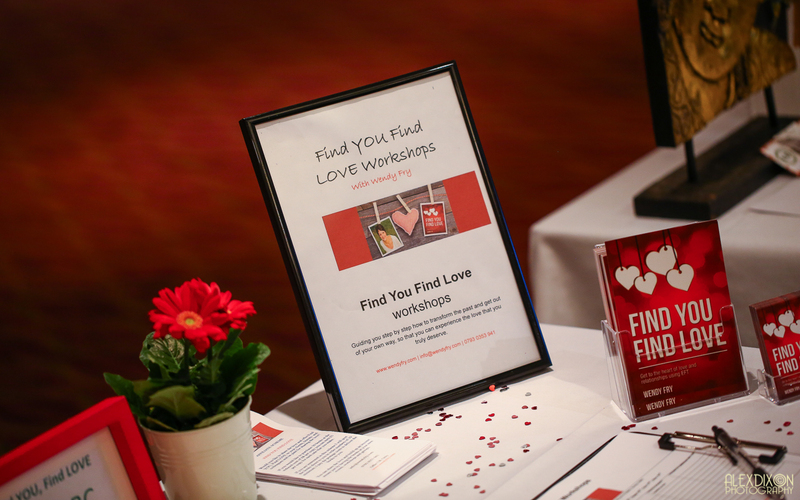 Yesterday I had the pleasure of running a Find YOU, Find LOVE workshop with some amazing people. The subject of friendships as relationships came up. In fact we talked about the different kinds of relationships that we experience through life, some good and some not so good. When we think of the word ‘relationship’ that may for some conjure up a relationship with a significant other, husband or wife, partner etc though in truth there are so many kinds of relationship you can have. This list is just a few of the possible relationships that you might have. When you think about how many people you come into contact with on a monthly basis you might be surprised at just how many people you have a relationship with. Well let’s get back to the subject of friends. What’s interesting is that when we are with friends we often feel totally free to be our real selves; we can show up in a bad mood, without make up, with our honesty, with our pain, with our fears, with our truth. We know that our friends love us unconditionally whether we are in good mood, a bad mood, with or without make up. They just accept us for who we are and we them. So what is it that stops you from being the real you when you are in a relationship with a significant other. This might apply to family too? Throughout my work as an emotional health, love & relationship consultant this has become a regular theme that so many people wear a mask, they hide their real selves in ‘significant other’ or bloodline relationships, much of it coming down to needing to be approved of, accepted and loved. There is often a fear that if they are their real selves that they will be rejected, abandoned, disapproved of or unloved. Many of these beliefs were formed in childhood but are in fact no longer relevant as adults. We just don’t know that, we still operate from the younger part of ourselves believing that it’s not ok to be who we are. Somewhere along the line you may have learnt that you have to put others before yourself, that you had to be perfect ‘by someone else’s terms’ to be loved, that you have to be happy and considerate all the time that you have to say yes to others and no to you. Often our whole world is built upon who we think we need to be instead of who we are. Why not be all of who you are in all relationships, not just your friendships? • When are you being nice and when are you being real? • What’s the consequence of not being yourself in ALL your relationships? • When you deny who ‘you’ are who suffers? It’s time to start being more of who you are and less of who you’re not. 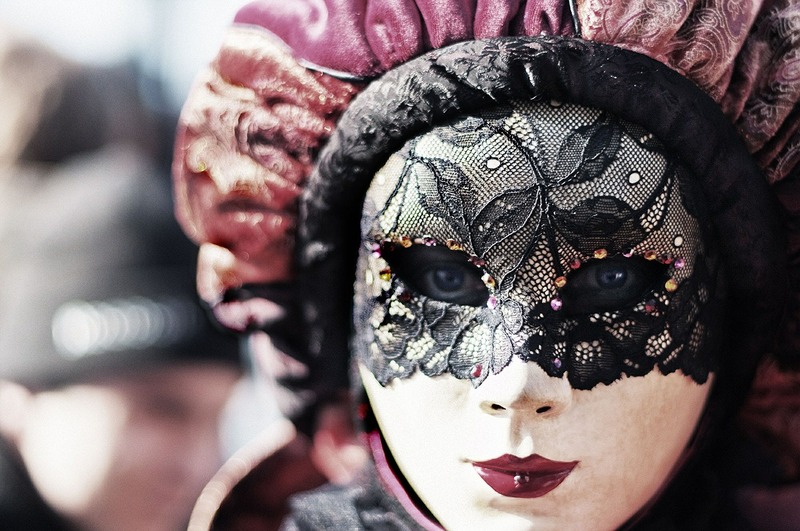 Take off the mask and set yourself free, free to be all of who you are! So how was your Valentine’s Day? I often wonder why just one day out of 365 if set aside for love when we have 365 of them. Love is a funny thing or sometimes not at all, especially if you feel that you are lacking in love. The truth is there are so many ways to enjoy the experience of not only receiving love but giving love. In fact when you give love it actually makes you feel more loving. 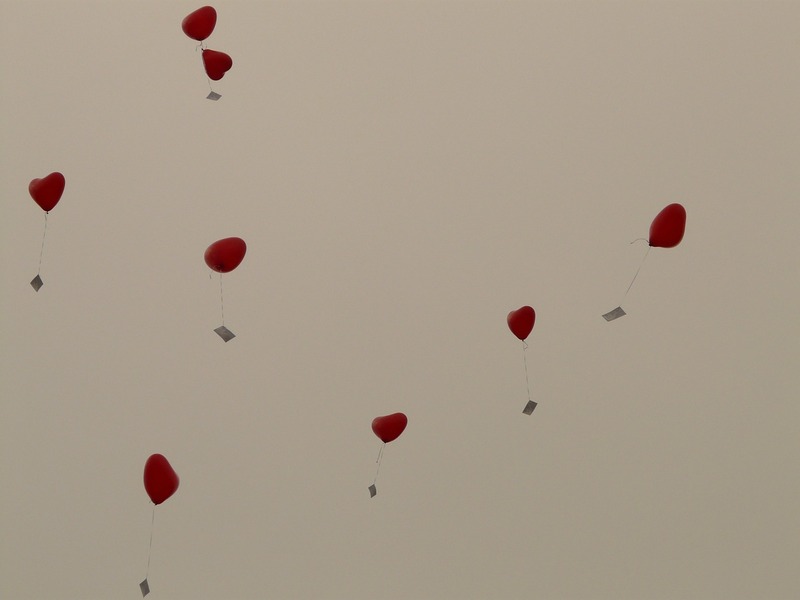 On Valentine’s Day I decided to spend my day connecting with others through sharing the gift of love and gave away many copies of my book Find YOU, Find LOVE. It felt joyous to be able to give the gift of love to those that felt they needed it. What ways can you find to connect with others through love? How can you show your love through thought, word, action or deed? What changes for you when you give your love freely without expectation and simply just enjoy giving the gift of love? If you want more love in your life my tip is to give it freely first. To give from the heart. When we are able to give we are able to receive. If we are closed to giving love, we also close ourselves to receiving love. Perhaps I will never get to meet the people that received my book though to know that a positive ripple of love was created simply by giving, the love I gave yesterday, i still feel today knowing that it made a difference to others. What can you give from your heart with love today that will not only benefit others but yourself too simply by giving? 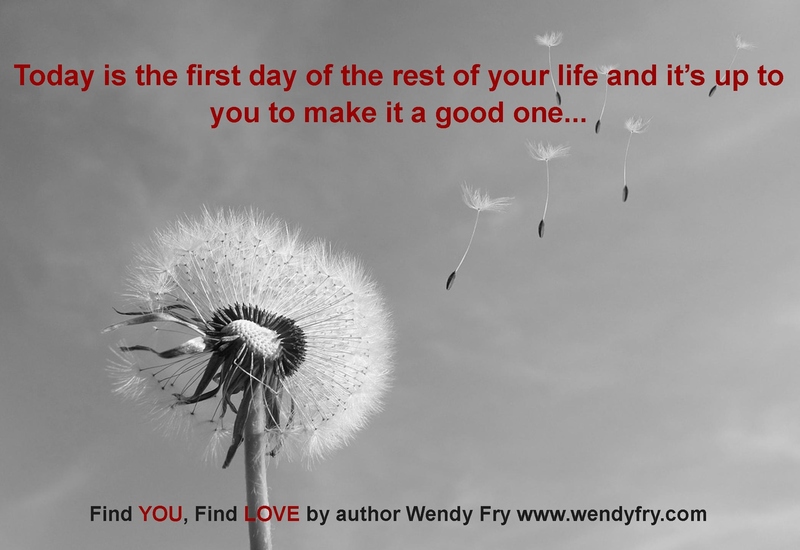 If you missed out on the opportunity to receive my book Find You, Find LOVE on Valentine’s Day, please hop on over to www.wendyfry.com where you can download for free Chapter 3 ‘Love and Relationship Beliefs’, two free audio doownloads ‘Standing in the Spotlight of Love’ and ’21 Steps to LOVE’ there are heaps of free resources such as ‘The Self love Inventory’ and The Love and Relationship Inventory’ for you to dowwnload on the book/resources page. When asked is your glass half full or half empty what do you say. You, yourself have the ability to fill your glass up with self love. You have the endless capacity to love and that love begins with the relationship you have with yourself. Without self love and taking personal responsibility to fulfil our own needs, we operate from a place of lack and neediness; we cannot love another or receive love until we believe ourselves to be completely whole. Unless we truly love ourselves, we will never believe someone else does. By loving and caring for ourselves we show others that it’s ok for them to love and care for us too. We are often treated by others as we treat ourselves and if we cannot love ourselves, we make it very difficult for others to love us. Even though we may say that we want the relationship of our dreams, we might also believe that it’s impossible to have a fulfilling and loving relationship. What we do want and what we don’t want seem to be in conflict. Part of us may believe that true love and happiness is possible and the other part denying any thought of entertaining it. We might push love and the opportunity for true happiness away, without realising we are sabotaging ourselves. Personal transformation occurs, once we are able to identify how we get in our own way, so we can then release and remove those inner obstacles to love. 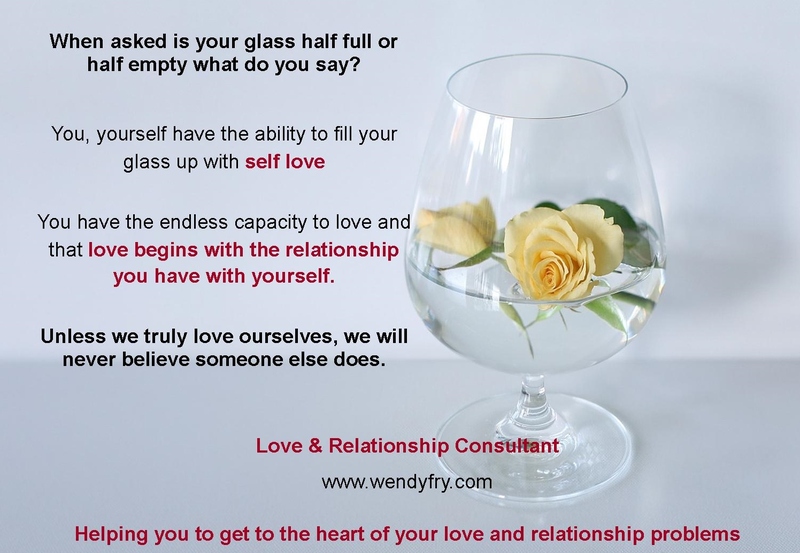 There is also a full 4 page Love and Relationship inventory on www.wendyfry.com that you can print off for free to work out if you are needy in love. This will help you to explore your love and relationship beliefs. Please do make contact if you need some help in working through your love and relationship problems. You can work with me in person or via Skype or attend one of my workshops which run monthly, you can contact me for dates via my website. Making time for yourself will be one of the best investments you have ever made. Self care will ultimately lead to self love. All relationships begin with you and when you are able to care for yourself, love, respect and accept yourself, this makes it easier for others to love, respect and accept you too. When you become more of who you are and less of who you are not, self love and acceptance become easier and opens up a world of loving opportunity all around you. You no longer need to hide behind a mask of falseness being who you ‘think you need to be’ for others to love and accept you. You except yourself fully and completely regardless of another person’s words or actions and just get on about the business of being your amazing self! Who you are is so worth loving exactly as you are. Remember that always! You can read the reviews and peak inside Find YOU, Find LOVE right here http://www.amazon.co.uk/dp/1910202460. In this modern word of technology and instant access to just about anything your heart’s desire. It’s all too easy to get caught up with constant ‘checking’ and doing instead of simply being. 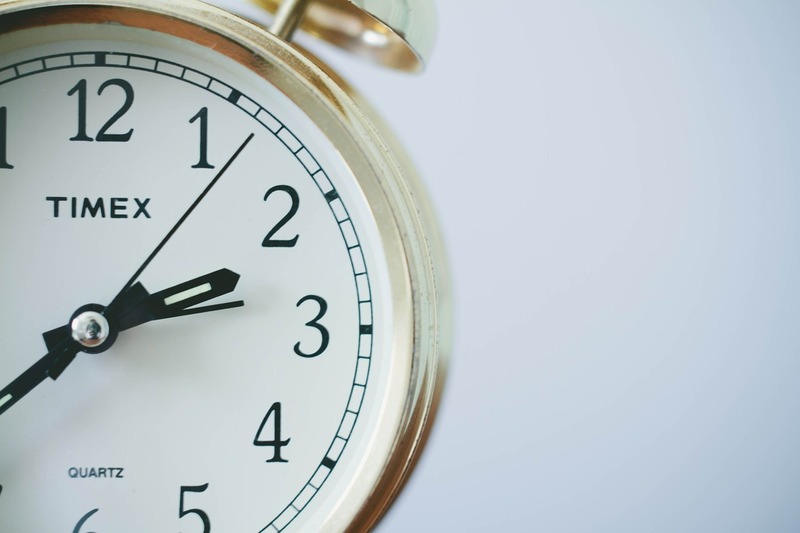 How much time are you spending checking? # Do you find yourself constantly checking Facebook for status updates? # Do you keep checking your phone for texts or answerphone messages? # Keep checking Twitter or Pinterest just to be sure you haven’t missed anything? # Checking your bank balance to be sure you haven’t gone overdrawn? # Checking the news to see what’s happening in the world? # Checking your front door is locked and your hair strengtheners unplugged? # Checking your watch to see how long it is until home time? # Checking the bath isn’t overflowing, the gas is off, the lights are off? # Checking your alarm is on for the morning? PHEW! I’m exhausted just typing that. Be aware of your own personal energy and the time spent with all that checking and how draining it actually is…. It’s time when you could just be ‘being’ instead. What is it you are really seeking if we drill down to the bare bones of all that checking? Could it be that you’re looking for love and connection through social media? Do you have a need for safety and security by checking that your home is safe? Are you looking for love messages on your phone that may mean that you need to feel needed loved and cared for? Do you need to feel abundant, rich and wealthy? Would you like more freedom to spend your time as you wish? Do you want to feel accepted, approved of, included? Next time you find yourself checking anything, stop for a moment and ask yourself what do I really need right now and how can I provide that for myself? We can create freedom in our minds…. We can create love in our hearts…. We can create a sense of feeling safe in the world…. We can create a connection to source/God/The Universe/Life Force Energy all by going within. Instead of looking externally for love, acceptance, approval and freedom, those things can be found within. If you want more love, how can you be more loving to yourself? If you want more acceptance, what parts of yourself are you not accepting? If you want more freedom how can you create the feeling of freedom within? There are times when things will need to be checked perhaps once a day. Times when it’s important to make sure your home is secure. Times when you need to make and receive calls and texts. Simply be aware from this moment on how much time you spend reacting instantly to status updates, emails, texts, calls, how much time you spend looking outside of yourself for what you really seek. If it’s taking you away from ‘being’, what’s the cost to your emotional and physical health and wellbeing? What are you putting outside of yourself that you can easily generate within?